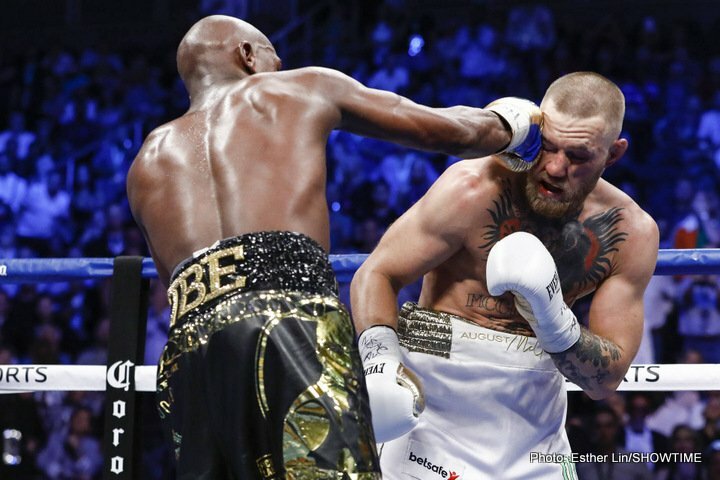 So much for those people who said Conor McGregor would not be able to land a single punch on Floyd Mayweather. 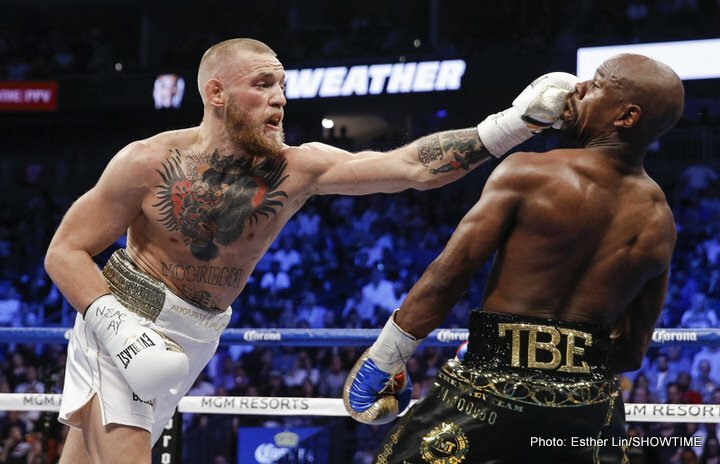 Last night, in the most heavily hyped fight in years, MMA star McGregor did considerably more than that; catching Mayweather with uppercuts the odd left hook and a number of fast right-hand jabs. What was widely derided, going in, as a bad joke/potential black eye/farce/disgrace proved to be none of those things. 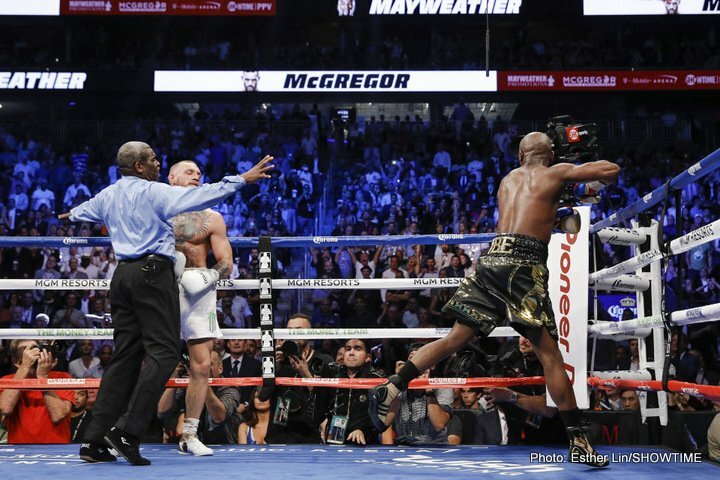 Instead, quite shockingly, what we got last night in Las Vegas was one of the most watchable, compelling and entertaining Floyd Mayweather fights is quite some time. 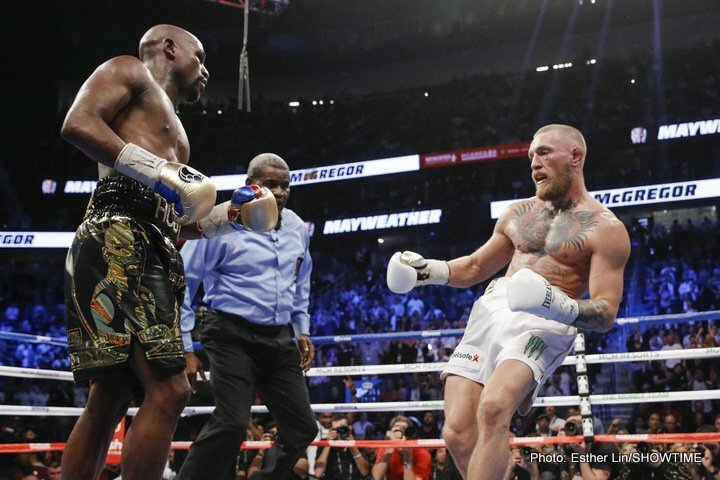 It may be taken as an insulting claim, but last night’s fight was more exciting and was far better value for money than was the incredibly disappointing Mayweather-Manny Pacquiao fight. 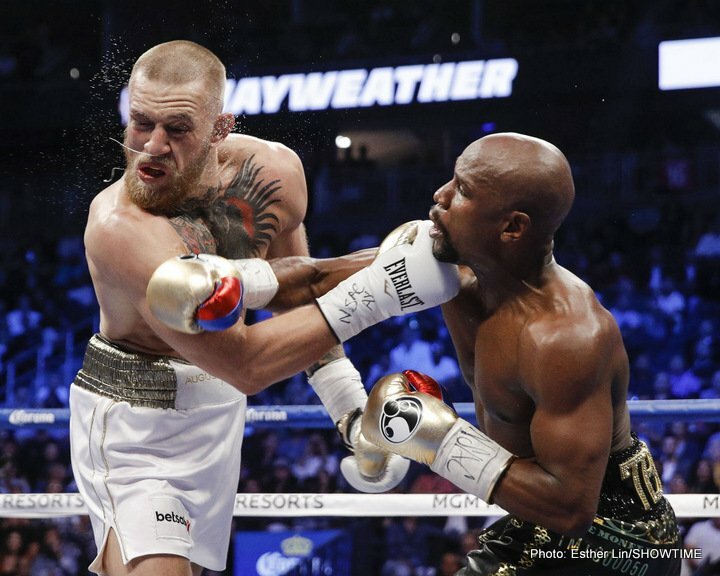 Mayweather was made to work hard last night, and in doing so, “Money,” so often a safety-first sharpshooter, threw more power punches and was more aggressive than he has been in a long, long time. 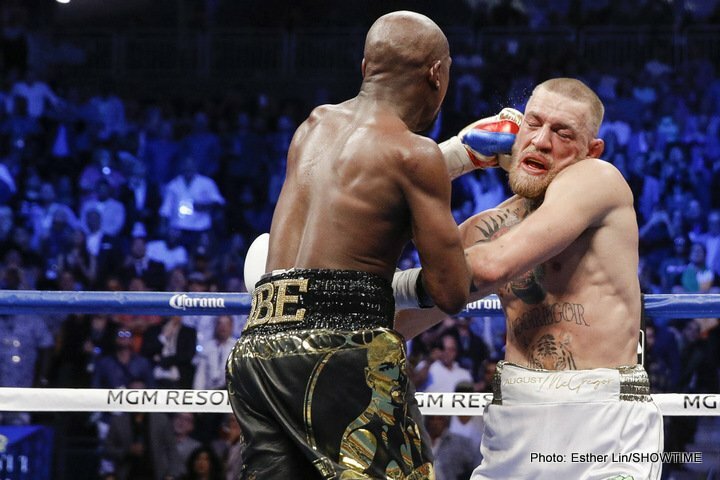 Floyd promised us a KO and he got one – for once delivering ‘blood, sweat and tears’ and, amazingly, an action fight. 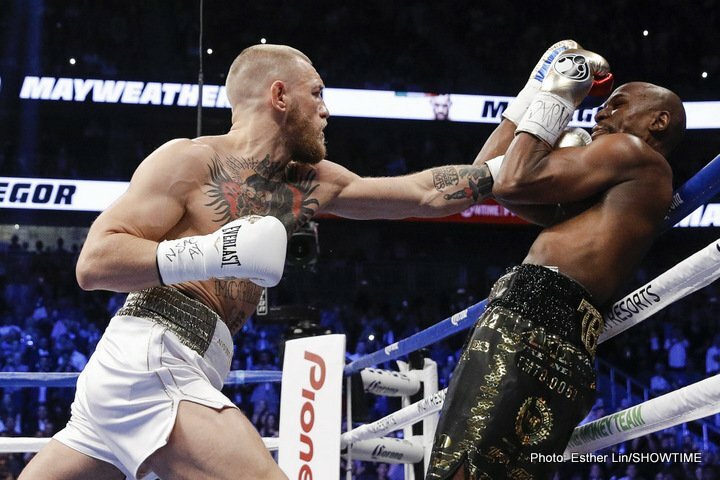 McGregor proved to be far better than most anticipated; showing good enough skills to capture a few rounds (Showtime’s Steve Farhood had the fight all EVEN after six – who would have predicted that going in!) and for this the vocal Irish warrior should be commended. 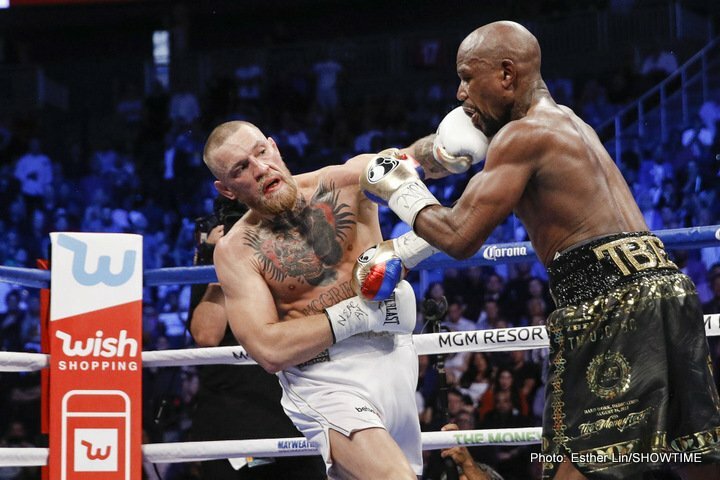 McGregor, had he been in there with someone other than the self-proclaimed TBE, just might have managed an upset win last night (that fight between McGregor and Paulie Malignaggi would be extremely interesting should McGregor decide to box again). 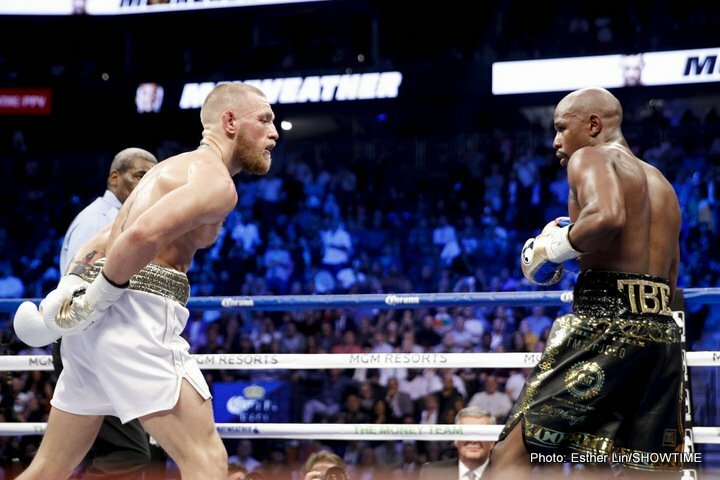 As it it, McGregor made a fight of it, and in so doing he made Floyd fight. And we don’t see that too often. 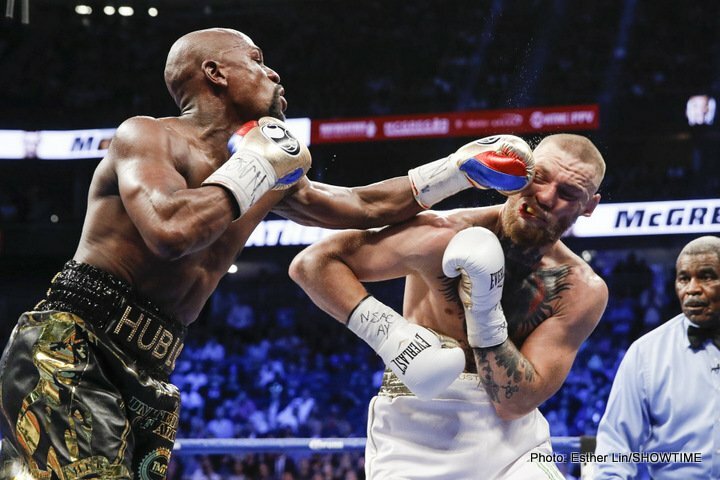 But if McGregor is to box again, Mayweather certainly should not. That he was pushed as hard, tested even, by a fighter who was having his boxing pro debut is a sign of how “Money” has slipped, how he has lost a step or two as a boxer. 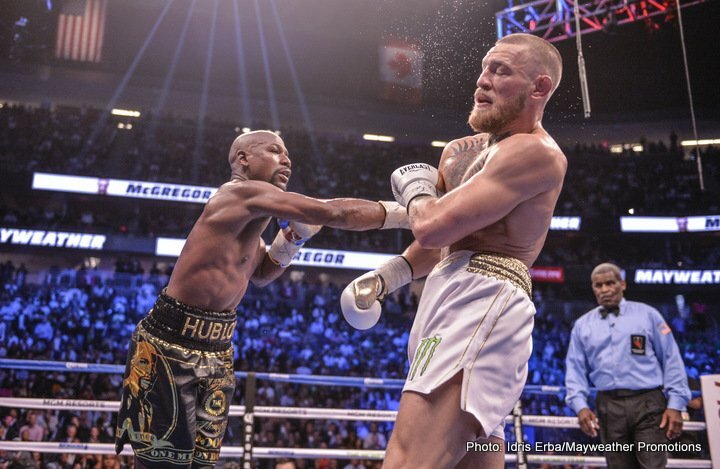 There was a third man in the ring last night, one who saw to it that Mayweather had his hands way fuller than he should have – and I’m not referring to Robert Byrd. Father Time made an appearance in Vegas, arguably the first time he has dropped in on a Mayweather fight. 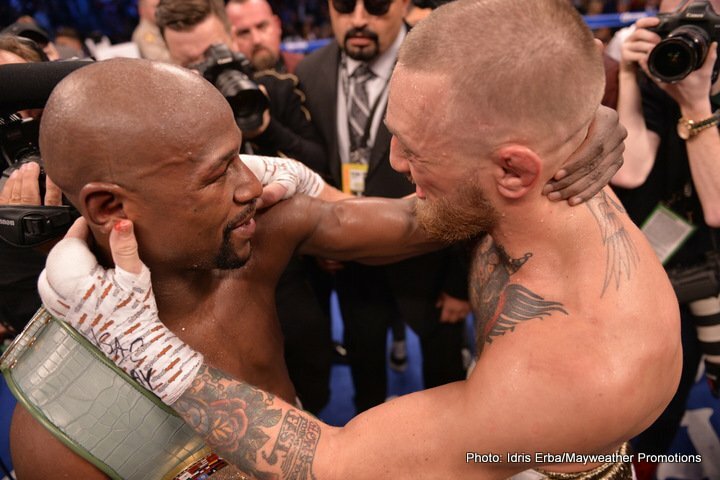 He reached 50-0 last night, he gave the paying fans a decent, maybe even very good fight (maybe not $100 good, but it could have been far worse; a rip-off only the “suckers” will pay for, many critics declared weeks ago) and now it is time for Floyd Mayweather, the richest, some say smartest boxer of all-time, to call it a day and continue to enjoy his $millions. 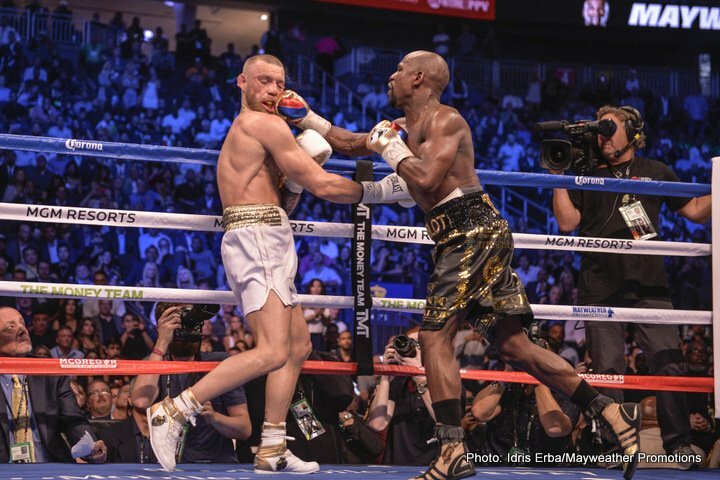 If he does go out now, Mayweather goes out with something of a bang. And who could have predicted that?